date with conditions of when these items should be submitted. RESPECT TO LATE MR E.N. NWACHUKWU'S (YOUR LANDLORD) BURIAL RITES. 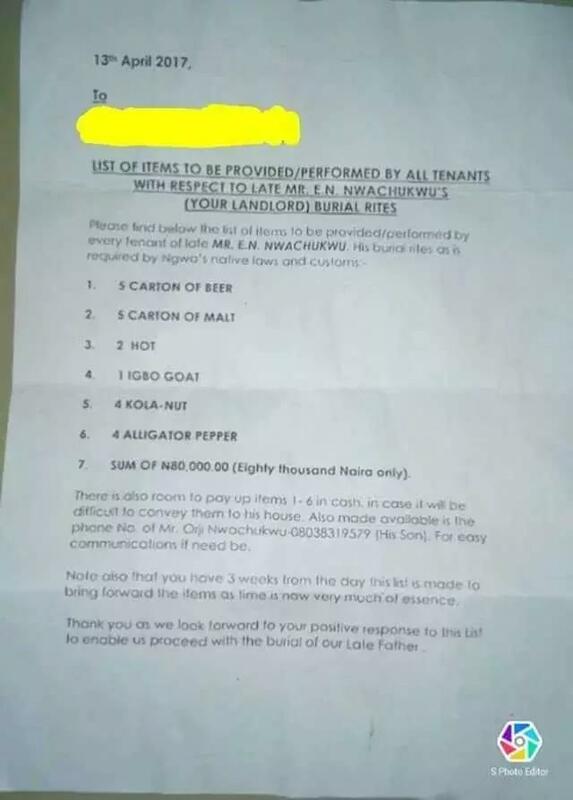 The tenants were given three days to provide the items. 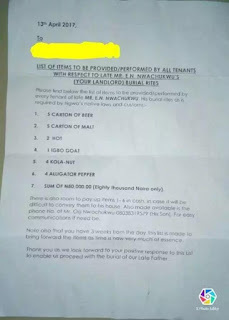 0 Response to "Tenants Told To Bring Goats,Cartons Of Beer,N80,000 For Landlord's Burial In Abia State"